"Can you stretch like a cat or hang like a bat? This little one can do those things and so much more as she bounds energetically through her day. Author Jane Whittingham‘s sprightly couplets take her from the park to the pool, to dinner and bed, while Noel Tuazon cleverly illustrates the animal companions of a child’s imagination. 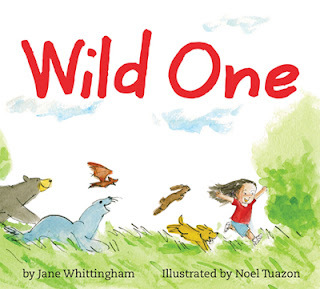 Published in a sturdy format with a padded cover, rounded corners, and extra-heavy paper, this picture book is perfect for sharing with wiggly, little wild ones of your own. And as the last pages are turned, the story’s final, sweet “goodnight” will leave the liveliest listeners ready to snuggle like a bear at bedtime." Thanks so much for the support, I really appreciate it! !